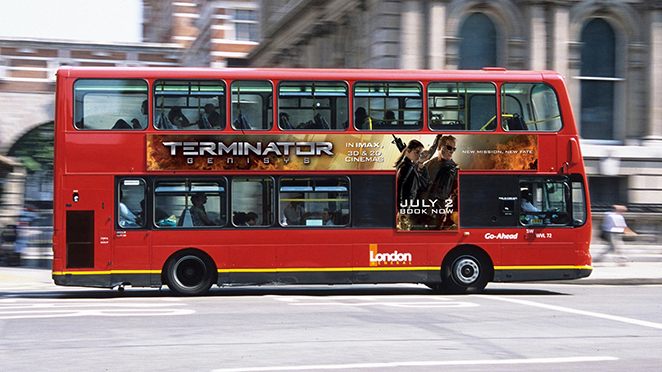 He’s back and on billboards, bus-sides and press ads all over the UK and Ireland. 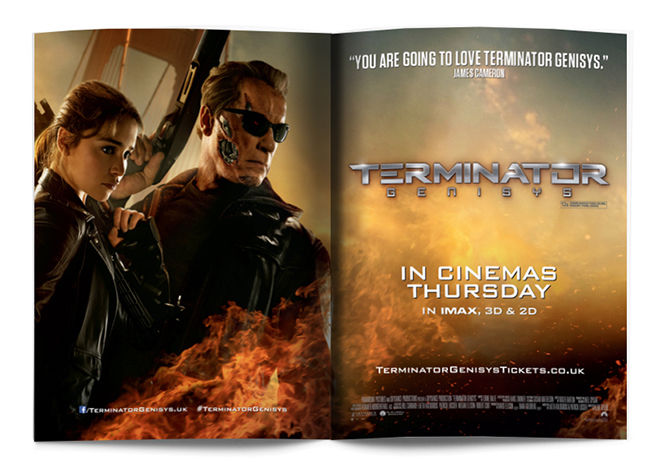 The UK release of TERMINATOR: GENISYS gave us the opportunity to deliver our first full print campaign for a bona fide summer blockbuster. 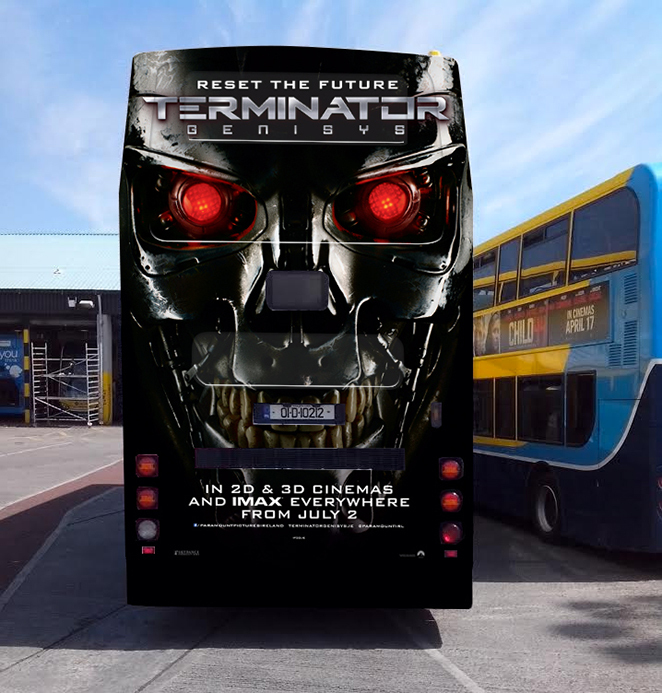 Our roots are interactive but we’ve been handling assorted artwork versioning and localisation for some time now and this feels like the natural next step. 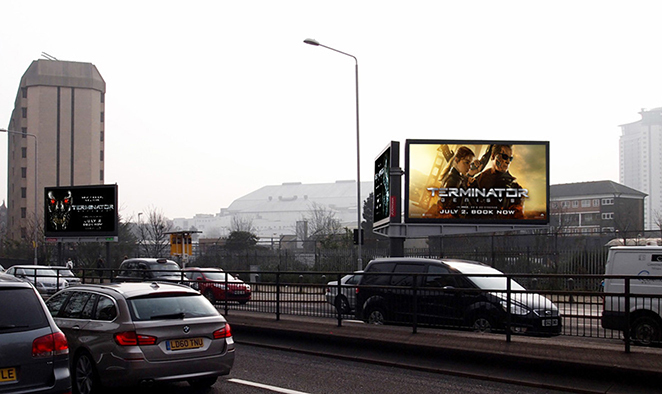 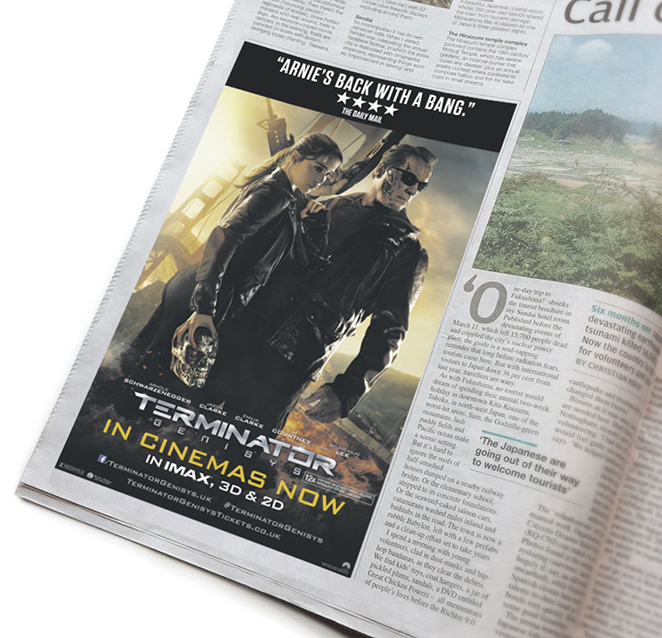 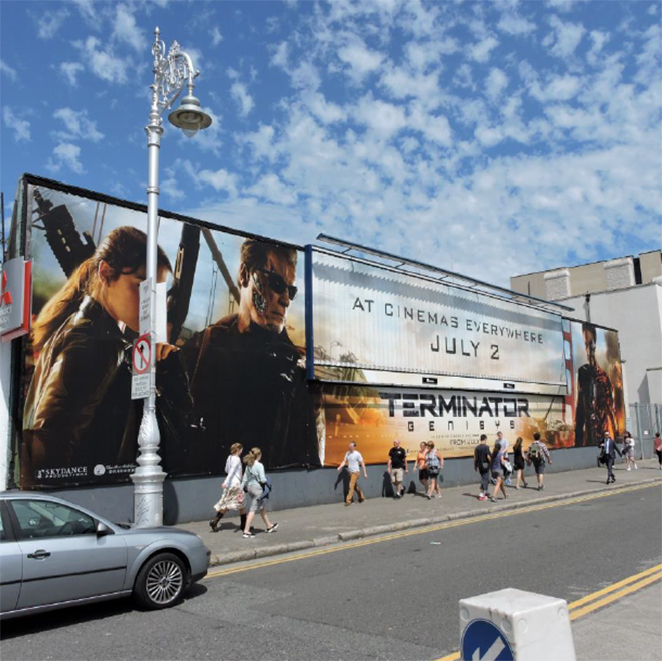 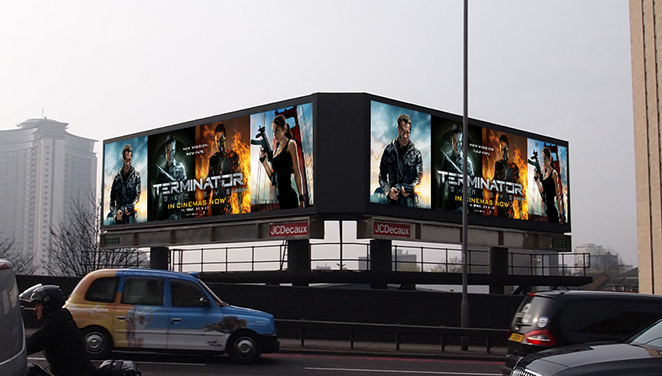 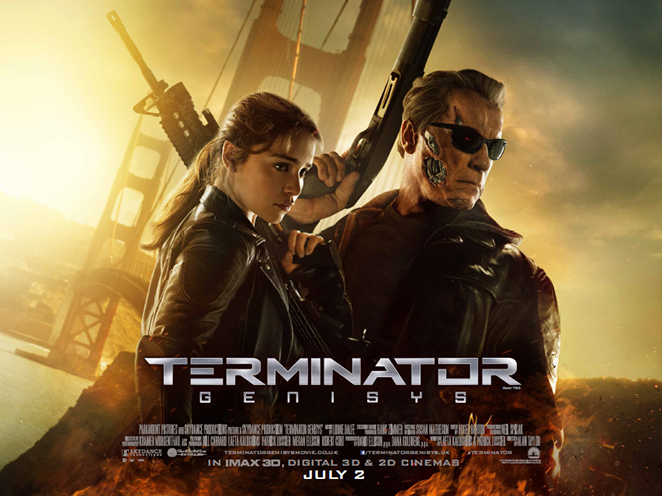 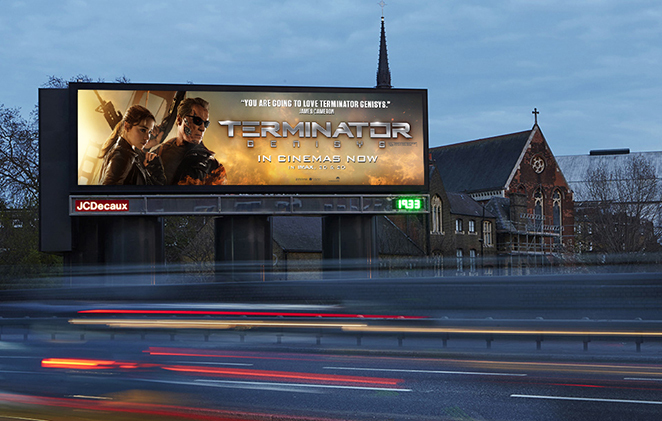 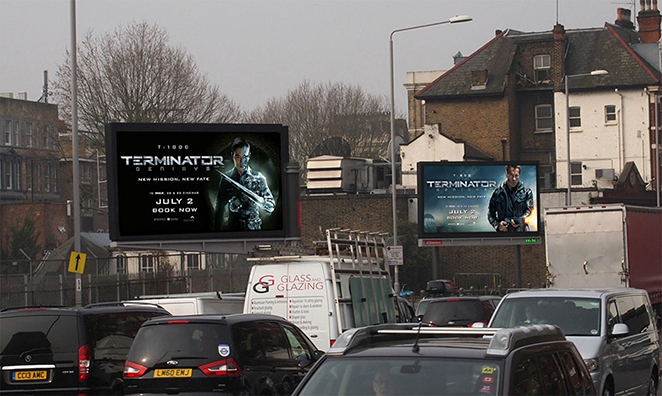 Having reworked the US artwork into the UK quad, we adapted this and a selection of international TERMINATOR: GENISYS artwork to create and service all the above the line print formats, including one-sheets, 6-sheets, exhibitor banners, outdoor billboards, press ads and bus-sides.